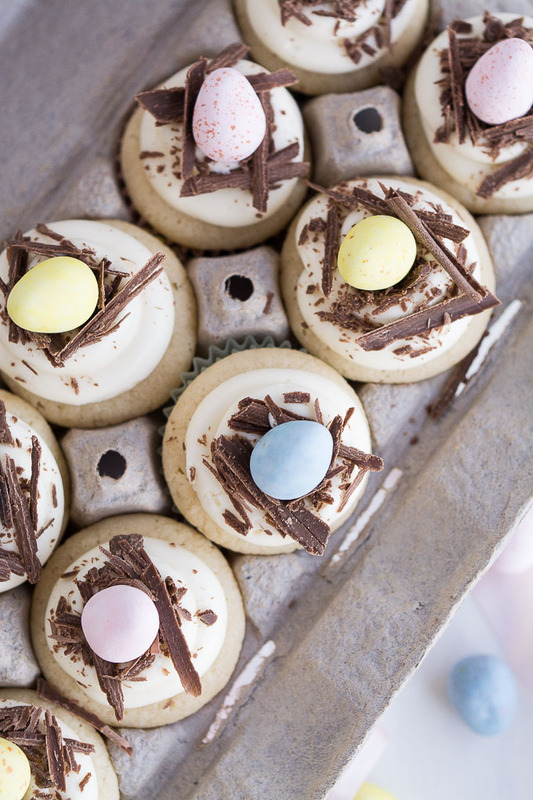 Pin it to your EASTER RECIPES board to SAVE it! I love sunshine! The past few days have been so gorgeous! Not a cloud in the sky. Spring is awesome all on it’s own but I think what makes it even better is having experienced 5 months of really cold and cloudy weather right before. I’m so excited to start going on walks again and letting Carly play at the park. 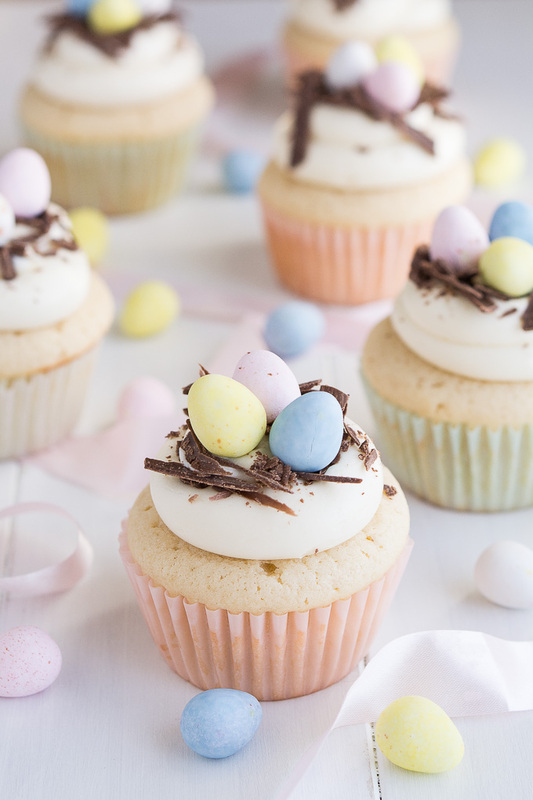 Oh spring is going to be wonderful… especially with these White Chocolate Easter Egg Cupcakes! Well, Easter is coming up in just a month so I thought I’d make something festive and delicious. I think these cupcakes fit that criteria, don’t you? Oh my, the cake of these cupcakes is amazingly fluffy, moist, and vanillay. Yes, you have to beat the egg whites separately but it’s so worth it! It’s what gives the cupcake height and a more light and tender cake crumb. 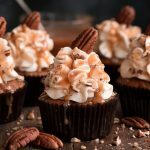 The cupcakes are topped with the most amazing frosting! It’s got cream cheese, white chocolate, AND butter. Can you get a better combination?!? Then its topped with chocolate shavings to resemble a bird’s nest and topped with my absolute favorite Easter candy– Cadbury Mini Eggs. I’ve already gone through two bags of them this season (yikes!). They are just so addicting! Even Carly likes them. It was so hard to keep her from stealing them while taking pictures of these. So with this recipe, you can make 24 mini cupcakes or 12 regular size cupcakes, OR you can make a combo with 6 regular and 12 mini. 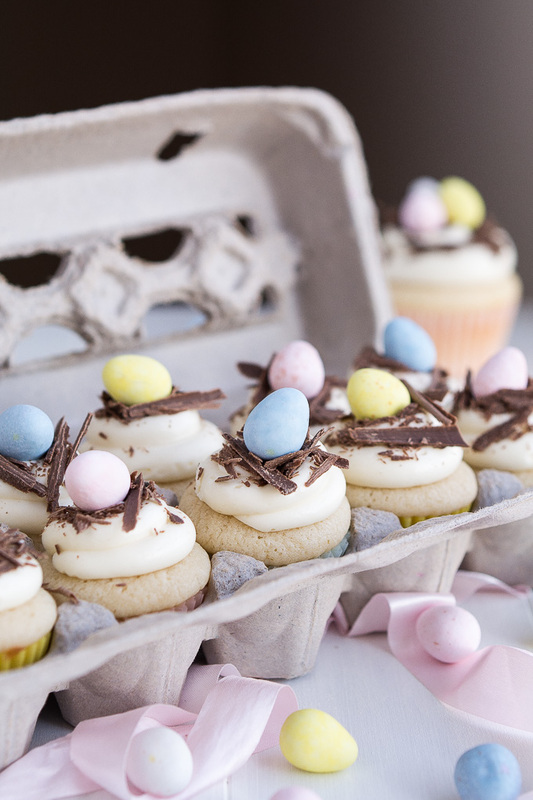 I love the look of the regular size cupcakes with three eggs on top but I also am a little obsessed with how the little ones fit perfectly into an egg carton. Isn’t it just adorable?!?! And it makes them easy to transport. 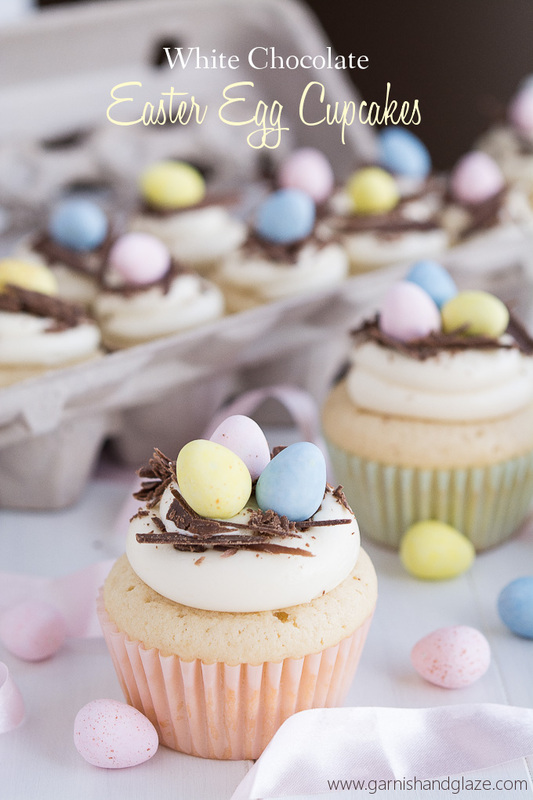 You guys are going to LOVE these White Chocolate Easter Egg Cupcakes! Enjoy! Pyrex Mixing Bowls with Lids- I love my mixing bowls with lids because then I am able to stack things up with the fridge. Plus, glass is nice for when I need to microwave whatever is in it. Preheat oven to 350 degrees F. Line muffin tins with cupcake liners (12 regular, 48 mini, or a combo of 6 regular and 24 mini). In a mixing bowl, combine flour, baking powder, baking soda, and salt. In another bowl, melt butter and whisk in the sugar, buttermilk, sour cream, and vanilla. Add the liquid ingredients to the dry and mix until just combined. Set aside. With an electric mixer, beat egg whites until soft peaks form. Fold into the batter until combined. Melt the chocolate in the microwave on low in 20 second increments, stirring after each. Let the chocolate cool slightly for about 2 minutes so it is not too hot that it melts the butter and cream cheese. In a mixing bowl, beat butter and cream cheese on medium speed for 1 minute. Add the melted chocolate and vanilla and beat anther minute. Beat in the sugar a little at a time, mixing until until light and fluffy. Add milk 1 tablespoon at a time if needed to reach desired consistency. Place in a piping bag with tip and pipe onto the cupcakes. Using a vegetable peeler, shave the chocolate to create long chocolate shavings. 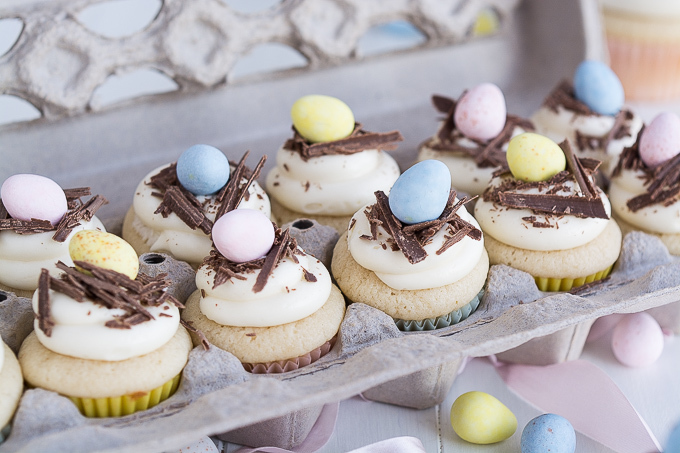 Sprinkle over the freshly piped frosting and then top with Cadbury Mini Eggs. This is a great idea. I love the photos. Will these hold up if I make and frost them the night before? The shell on the cadbury egg starts to soften after a few days but it should be fine to make the night before. These are beautiful!! I looooooove mini cadbury eggs!!! Thank you Lara! I’m so addicted to Cadbury eggs! It’s embarrassing how many bags I’ve already gone through this season. What tip did you use? Bethany, This is the one I use (disclosure-affiliate link). It has a 3/4 inch opening. You can also get away with the Wilton 1 which is a little smaller. For the mini cupcakes I used the Wilton 2A tip. 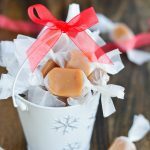 is the vanilla listed in the cupcake recipe vanilla extract? Lindsey, Yes. Sorry, I just fixed it in the recipe to make it clear. Glad you were able to find something else to shave the chocolate. I wonder if maybe the vegetable peeler didn’t work for you because it was too dull? These are too cute! I usually prefer making cakes over cupcakes because cupcakes always seem like so much more work. ;P but in this case I think it’d be worth it. 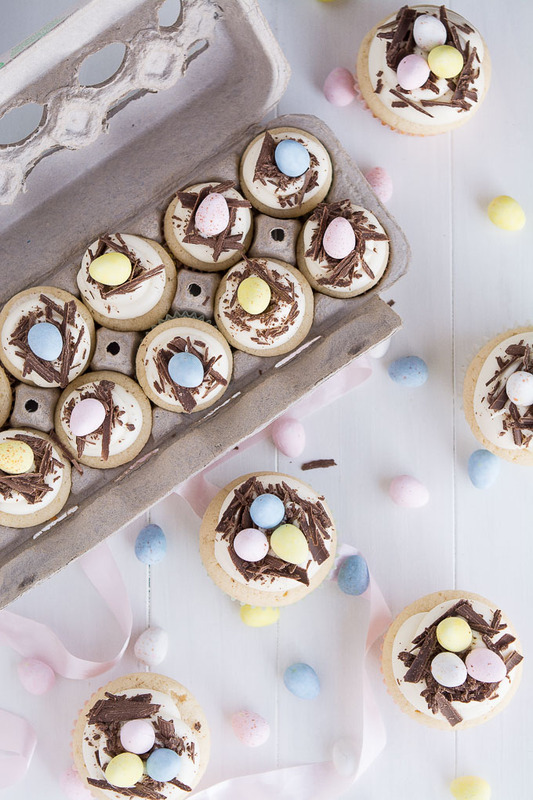 The little individual eggs atop each cupcake are just picture perfect. Thanks for the great ideas! Do these have to be refrigerated because of the creamcheese? Yes. If you won’t be serving it within a few hours you’ll want to store it in the fridge. I wouldn’t serve them cold though. Take them out 30-60 minutes before you serve them so they are room temp. I can’t get soir cream where I am. Can I use Greek to yogurt instead? -and if so, would I use sweetened or unsweetened? Michelle, Yes! You can use plain (unsweetened) Greek yogurt. These are so adorable! I used speckled peanut butter M&Ms and green coconut. 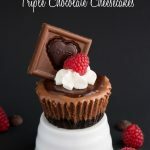 I loved the chocolate shavings but I was already making mini chocolate pudding cups. I already had cupcakes made so I didn’t get to use your recioe, but it seems really great! The frosting was delicious! Thanks for the recipe! I love these cupcakes. They are so cute and taste amazing. I did find hard pieces of white chocolate in the frosting even after I mixed it. Any suggestions on how to prevent this? Thank you! They Kristen! I’m glad you loved them! If you had hard chocolate pieces then your butter and cream cheese were too cold when you added the chocolate or you let your white chocolate cool too much. I like to set out my frosting ingredients a couple hours before using but if I forget I soften it cut into pieces in the microwave on “defrost” or low power. Hope that helps! Happy Easter! 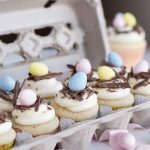 These white chocolate easter egg cupcakes are probably the most creative things you have shared on this site. Well done! These look look fantastic, I just have one quick question. 2/3 of a cup OR 4 ounces of white chocolate chips? Sorry that was unclear. It’s just 2/3 cup. If weighed, that should be about 4 ounces. Hi there! 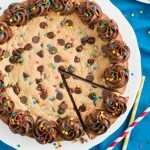 I’m a novice novice novice baker, so is this recipe enough to make one cake? Hi Kate! This would make one 9×13 inch cake or two 8-inch rounds. This is a denser cake so I prefer it as cupcakes or a one layer 9×13 inch cake.